This game allows multiplayer play and is not subject to Xbox LIVE parental settings. Microsoft shares User IDs and gamertags. Hit the speed of heat in the newest, fastest, most visually stunning edition of the famed Asphalt series. A FIRST-CLASS LINEUP Drive 60 different cars from the world’s most prestigious manufacturers, like Ferrari, Lamborghini and Aston Martin, including the legendary DeLorean. 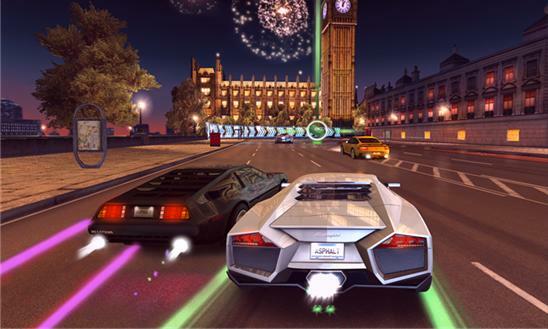 RACE ACROSS THE GLOBE Gear up to race on 15 tracks set in real cities around the world, including brand new tracks in Hawaii, Paris, London, Miami and Rio. CHALLENGE THE WORLD The completely revamped multiplayer lets you take on up to 5 of your friends locally or online. Keep track of who’s the best with the new Asphalt Tracker that lets you compare stats, show off achievements and challenge rivals. YOUR WAY OR THE HIGHWAY Play however you please with 6 different game modes packed with 15 leagues and 150 different races. CUTTING EDGE GRAPHICS Every car and track is more beautiful than ever thanks to graphics that push the limits of your device. 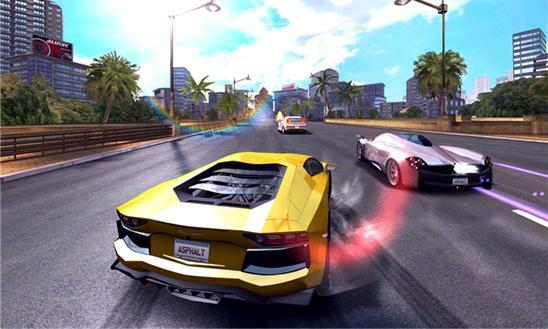 A RECORD OF SUCCESS Acclaimed by both media and players, the Asphalt franchise has already attracted several million players worldwide... Come and join the ride! If you install this game, you understand and agree that Microsoft may share your User ID and gamertag with the game publisher to enable game features. This game includes multiplayer features with online interactions that are not subject to Xbox LIVE parental settings. These features may include the following interactions with other players online: • Send and receive game invites; • Play cooperatively or head-to-head; • Send and receive in-game text messages; • Communicate via in-game voice chat. Please see the publisher’s site http://www.gameloft.com/privacy-notice/windows8/ for information on settings it may enable.